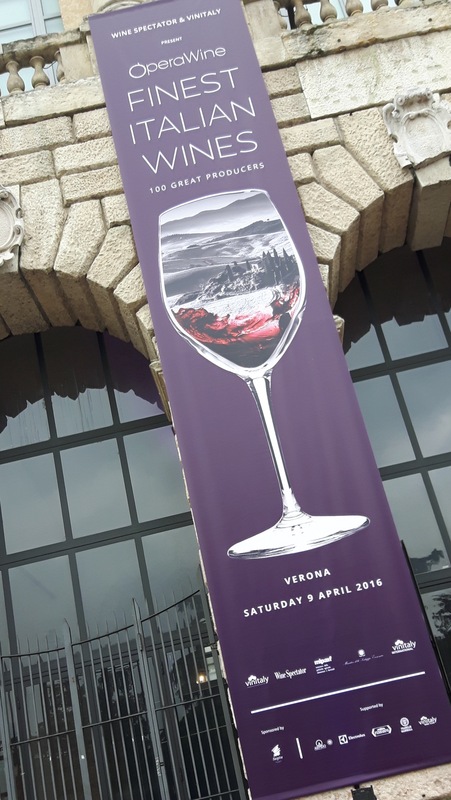 Verona is in full buzz mode now with likely an extra 150,000 people in town for the annual VinItaly wine festival. 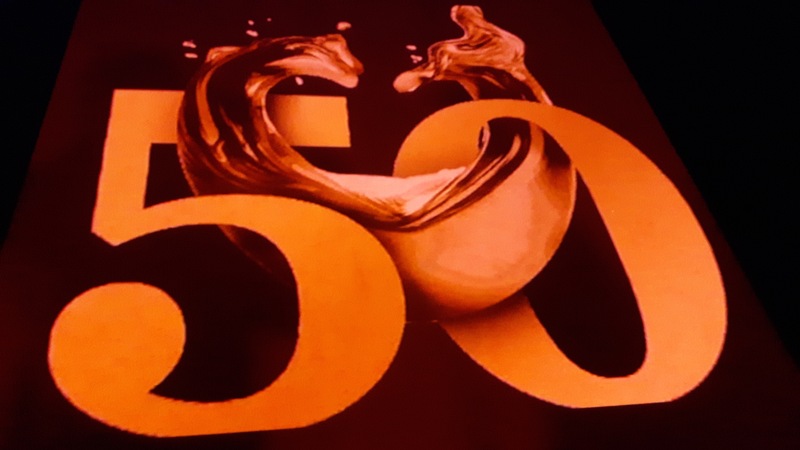 And this is the 50th year, so it’s even more special and exciting. The Piazzas are full, and it’s easy to walk around and enjoy the city’s downtown. I love walking and listening to the caucaphony of languages being spoken. Italian, English, Russian, Spanish, German and a host of others. It’s the coolest thing. But first, let me share a little good news. Opera wine began the day after our exam, featuring Italy’s top 100 wines as chosen by Wine Spectator, including wine from Sting and Trudie Styler and their winery Il Palagio, called Sister Moon. This was a highly quaffable wine with a blend of Sangiovese, Cabernet Sauvignon and Merlot. Lots of big, black fruit with undercurrents of spice; it will be happy wine to satisfy the North American palate. Unfortunately, he wasn’t pouring it! We did have the pleasure of sitting in on Press Conference though, up close and personal, he sang Message in A Bottle, and Fields of Gold. I love Sting, and I’m a total sucker for “unplugged” music. Just him and his guitar singing a couple of well loved favourites. That afternoon at the actual tasting, my guess is I tasted about half of the 100 wines. 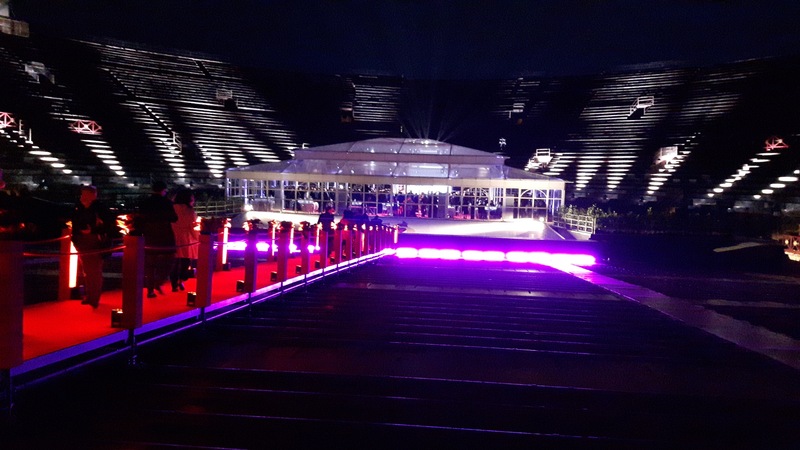 The evening ended appropriately with a gala inside the Arena. Yes, I said INSIDE the Arena. The venue is stunningly ancient and beautiful. Today started the actual VinItaly, and I cannot begin to tell you how huge this event is. The logistics alone make my head spin. For those of you reading who have been to VinItaly or for those who are planning to go in the future, it’s imperative to have a plan. You’ll just stand around with your jaw on the floor otherwise, it is THAT overwhelming. My plan is to taste as many of Italy’s native grapes as I possibly can, with a great start today. Under my belt is Ruché, Fumin, Cornalin, Erbaluce (in all its forms of still, sparkling and sweet), Vitovska, Verduzzo, Moscato Rosa, Petite Rouge and Chambave Muscat. Yum. I was especially fond of the Passito Erbaluce and the Moscato Rosa, both little sweeties…seriously. Tomorrow I have another big list, along with another cool sit down tasting. Stay tuned for another post of my experience from today tasting 12 wines from the Zind Humbrecht Grand Cru Vineyard of Clos-Saint-Urbain Rangen de Thann. 12 Alsatian Pinot Gris from 1983-2013. See, this is the kind of stuff I get to do here and it’s not just about Italian wine! It blows my mind sometimes. As I’ve been pecking this post out on my iPad, it’s literally taken hours to write! I sincerely apologize for lack of structure and the pictures larger than life, but I hope you will at least get a chance to share in my experience here in some way. Cin Cin! 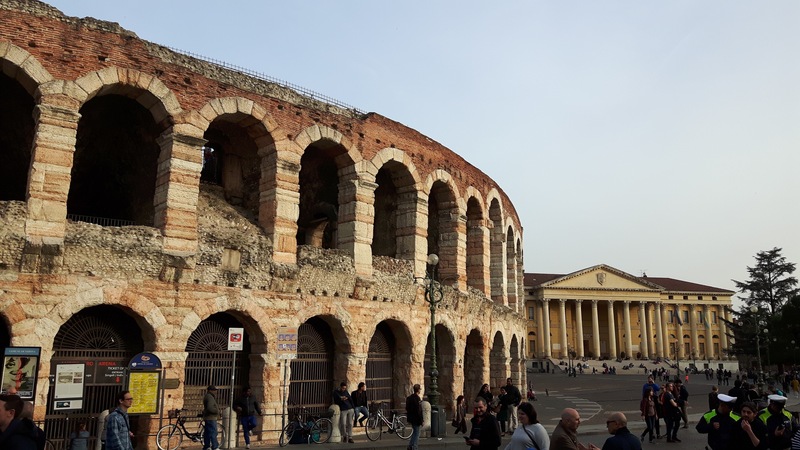 This entry was posted in Joy of Wine, Life and Education, Personal Stories, wine and tagged italian wine amabassador, Italy, operawine, Piedmont, tasting, top 100, valle d'aosta, Veneto, Verona, VinItaly, vinitaly international academy, wine. Bookmark the permalink. Congratulations. Great accomplishment! Now go and enjoy VinItaly! Thanks Michelle! I already am!